My favorite movie in the whole wide world is Willy Wonka and the Chocolate Factory. I cannot WAIT until Amari is old enough to see it. I mean what child did not want that golden ticket into kid paradise?!! Yet… I never made it there in person. I had no choice but to live vicariously through Charlie, Veruka Salt, Violet Beauregarde and the rest of the crew. 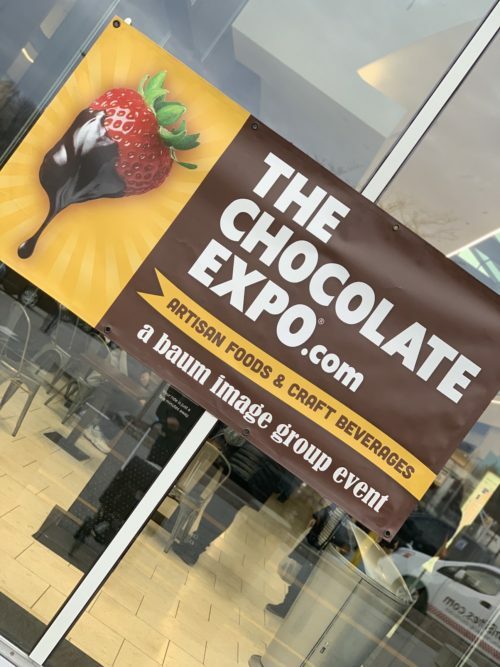 First off, Wonka’s chocolate factory didn’t just have chocolate… and in the same fashion neither did the chocolate expo. That’s how I ran into Valenzano Wine. Located in Shamong, NJ, this family winery hosts dinners, wine tastings and other events at their winery. After a few tastings of what they had to offer, I ended up taking home a bottle of their medium bodied velvety Carmeneire. I mean what better to go with all of the chocolate than a glass of wine. My second fave was Raw Chocolate Love. What they are about is all in their mission “A small bar with a big effect, Raw Chocolate Love is chocolate as it should be: 100% pure, raw, organic, and packed with antioxidants that nourish the mind, body, and soul. Our purpose is to provide you with a healthier, more natural alternative through our guilt-free recipe. We aim to prove that healthy and delicious do in fact go hand-in-hand.” Their products are the quad-fecta of cocoa perfection. They are gluten and dairy free, organic and vegan. There is not one person on earth who will not enjoy these. So after having my fill of chocolate and spirits, I felt like I had gone through my own virtual candy land. I was headed out of the door prepared to walk off this sugar high. This day was amazing. The only thing that could have made it better is if I could have done it with the golden ticket five crew. Then… just as I was about to end this story, who did I see from the corner of my eye??? The great Paris Themmen… otherwise known as Willy Wonka’s Mike TeeVee!!! DO YOU HEAR ME? “Am I coming in clear? Hey, am I coming in clear?” (A little Mike TeeVee humor). We chatted it up for a bit as he told me about his website Wonka Pops where you can get Wonka sized memorabilia and guess what? He even gave me my very own golden ticket to take home. It really was a perfect day after all. My mom used to go to these all the time. I loved all the goodies she’d bring home. If you want a good laugh, there’s a Simpsons ep where Marge and Homer go to one. Sounds like a great memory of your mom. I bet that episode is hilarious. I can imagine Homer at a chocolate show! Oh wow! that sounds awesome! It truly is lots of fun! Just be careful of the sugar rush! Enjoy!